Teen Mom has a new claim to fame (former claim - being a platform to show the world the decay of Western civilization). 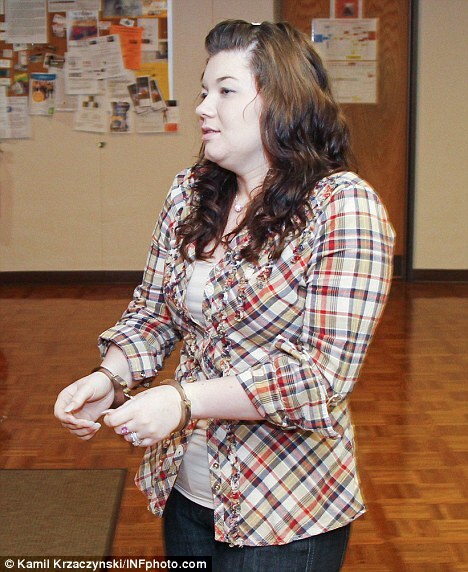 Amber Portwood has been sentenced to five years in prison for drug charges she faced in December 2011. At first she made a deal to go to rehab, but couldn't hack it and actually said she would rather be in prison. So in court she was given the original sentence she received, 5 years (minus time served). Is this girl a complete moron? OK, I am not even sure why I am asking, because of course she is. Her kid is what, three? And she thinks that being away from her kid for longer than she has been alive is a good idea? Why am I shocked by this? I hope someone in prison gives her some life lessons, and by that of course I mean a face beating.